Does This ‘Chip Fix’ Live up to Its Name? 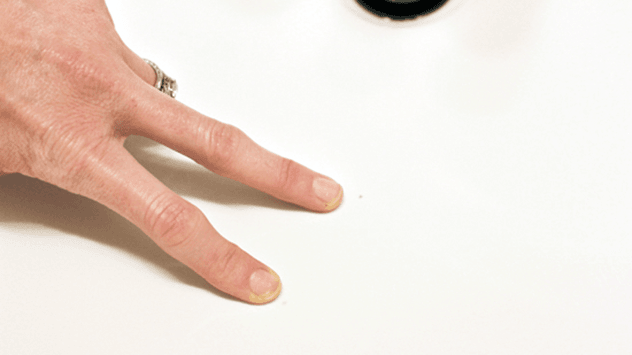 “Today’s Homeowner” co-host Chelsea Lipford Wolf shares the results of her latest test with Homax Porcelain Chip Fix on her blog, Checking In With Chelsea. 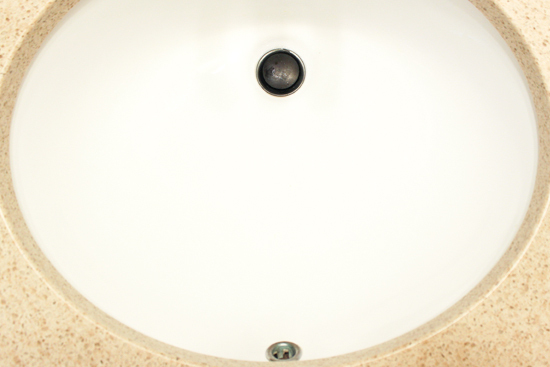 “Today’s Homeowner” co-host Chelsea Lipford Wolf used the product on her porcelain bathroom sink a few months ago and shared her review on her blog. “I applied it twice since the first time I didn’t wait very long to use the sink and it was washed away,” she said. “The second time around, though, we waited four days to use it and about two weeks to clean it. Now, Chelsea reveals the results of this latest test. Checking in with Chelsea to read about Chelsea’s latest experiment with Homax Porcelain Chip Fix — whether the product worked after tests that went ‘over and beyond’ what directions called for, and whether Chelsea’s sink looks as good as new!